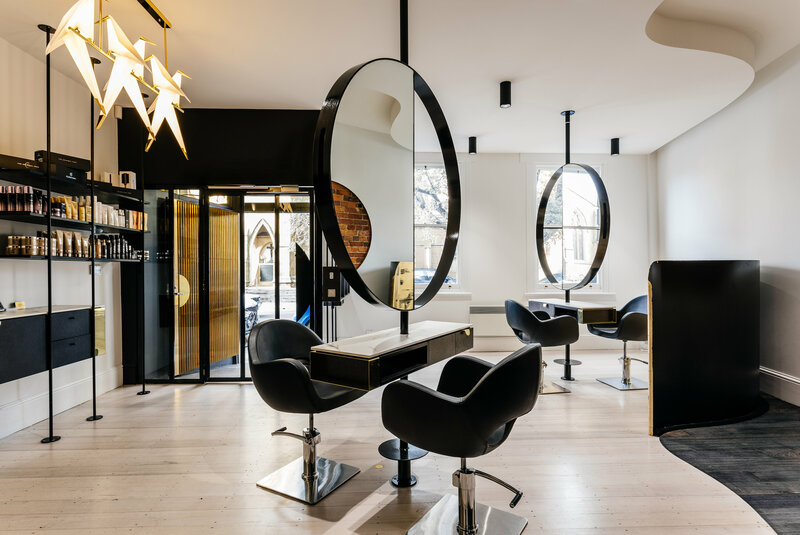 Located within Hobart’s CBD, Jakadjari Hair Salon is located within a heritage listed building with neighbouring buildings on either side. 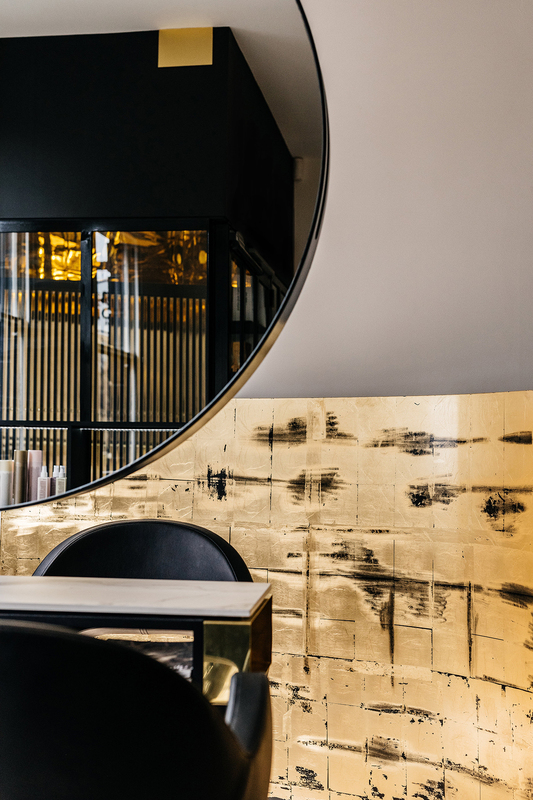 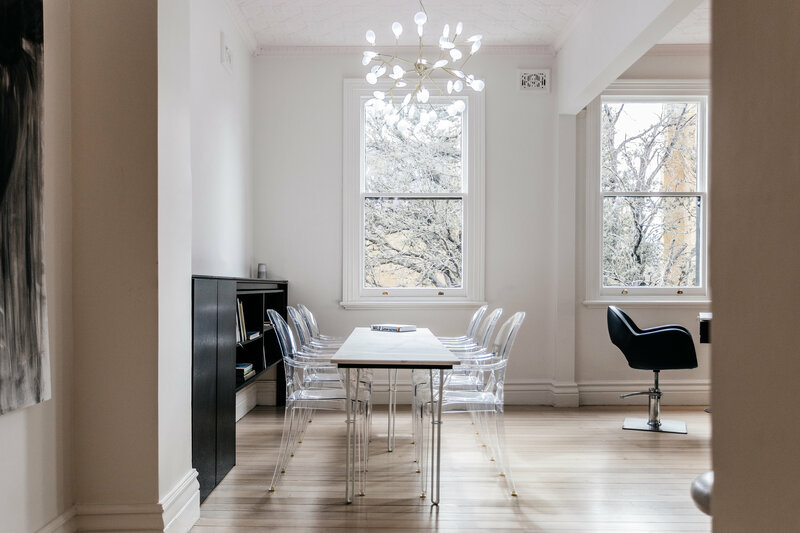 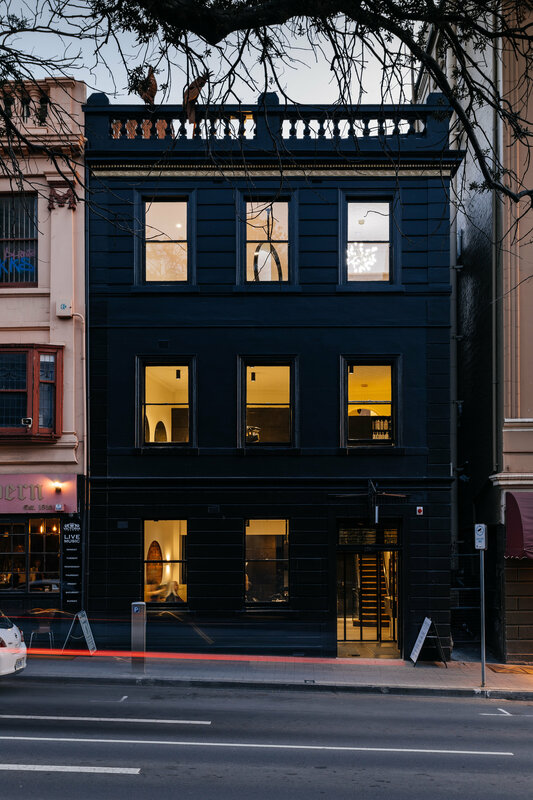 The brief was to convert four levels of an out-dated office space into a unique, luxury hair salon for Hobart’s premier hair salon. 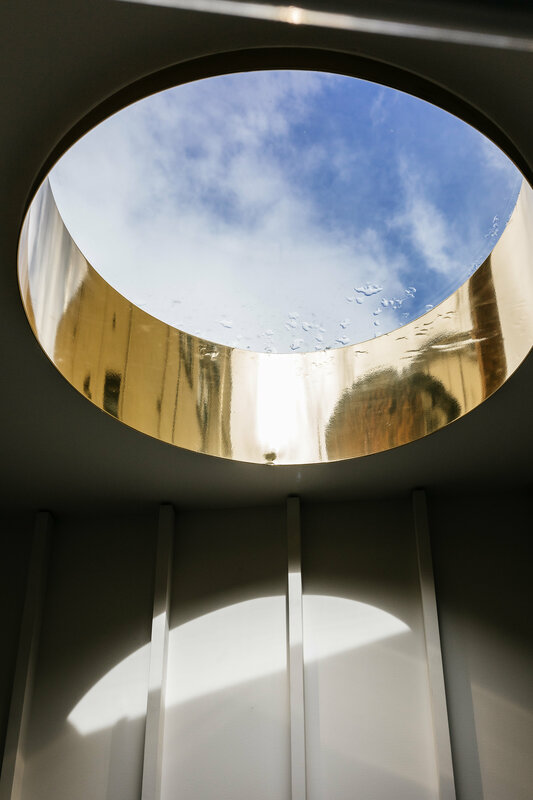 The design pays respect to the existing historical building, while enhancing light and flexibility of the space. 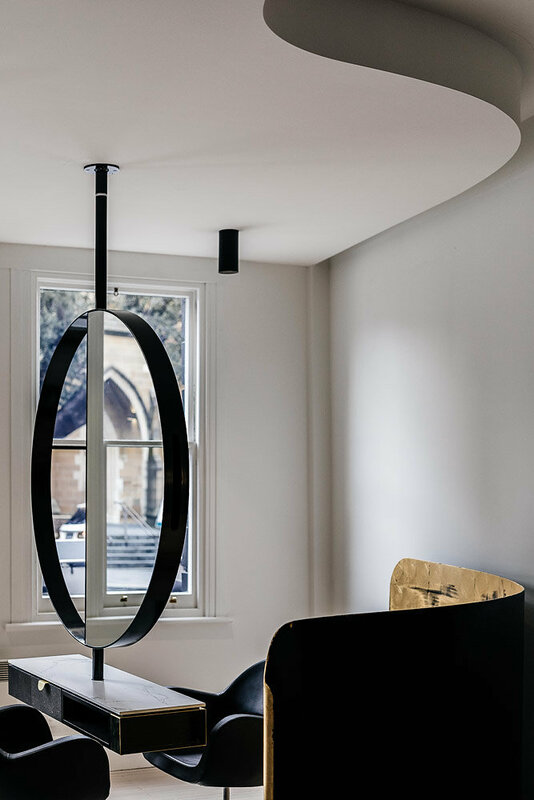 Interior spaces are considered with restored heritage walls in light tones, and contrasting with the new black joinery insertions. 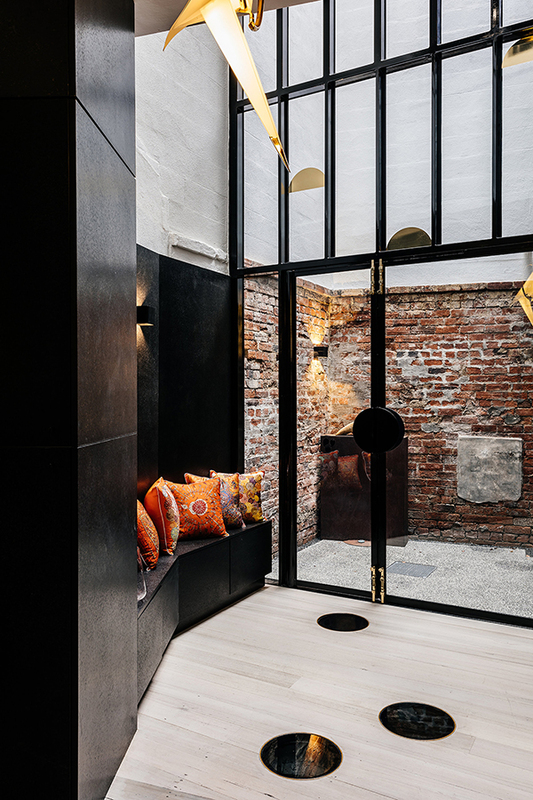 Glimpses of the heritage fabric is made through the repeated exposure of existing brick, using a repeating circular motif. 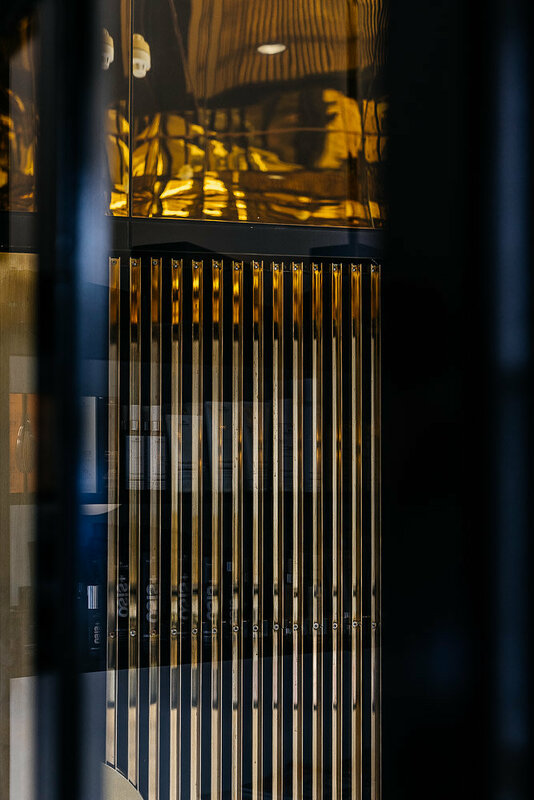 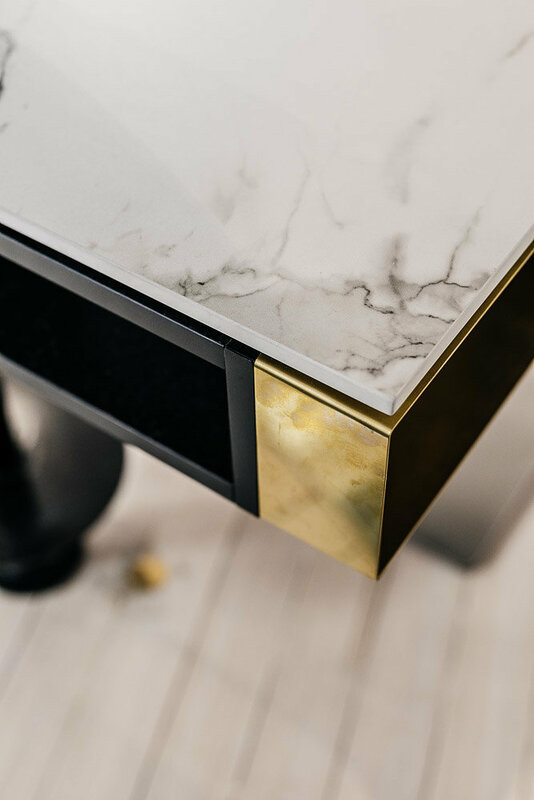 Splashes of luxe gold are interlaced throughout the new works as joinery handles, decorative screens, and reflective feature ceilings.